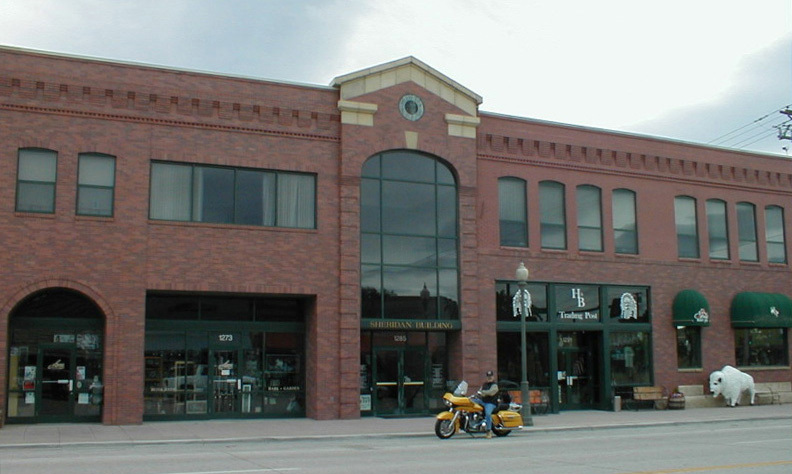 Our firm restored, refurbished and added to the old Shoshone Bank Building, a Cody landmark for most of this century. 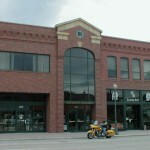 The addition, to the left in the photograph, extends 100 ft. along the main street, doubling the usable space. The brick of the old building (to the right of the tall entry in the photo) was carefully restored and then matched on the facade of the addition, which reflects but does not precisely copy the 1906 original. Old and new join at a lobby with a full height arched window and a distinctive pediment. 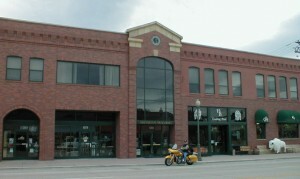 Four retail spaces front Cody’s busy main street, with offices on the side street and the second floor. The importance of these upper offices is established by the new open lobby which directs visitors up the main staircase. The project was designed and built on a fast track basis, moving from conception to completion in ten months in 1994.